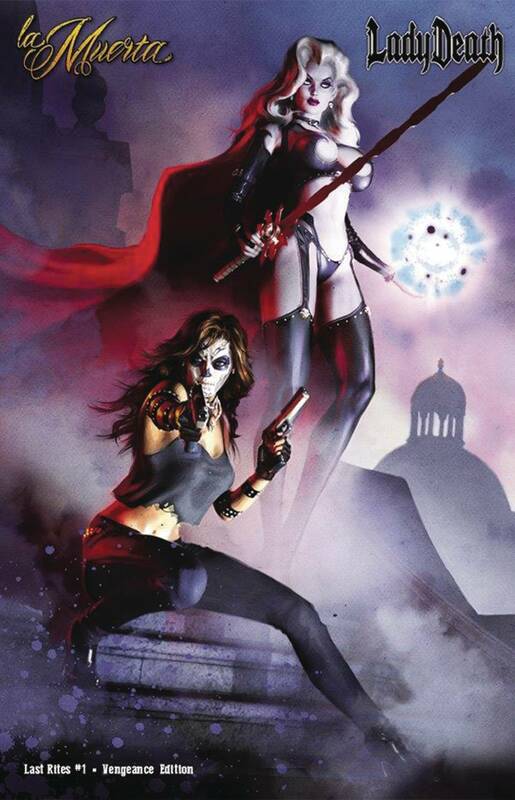 This limited 'Vengeance Edition' of La Muerta: Last Rites #1 is a full-color, collectible 48-page comic book, signed by creator Brian Pulido! Features a premium cardstock cover and is limited to 200 copies. Comes bagged and boarded with a Certificate of Authenticity.